On the May bank holiday weekend. Myself and my buggy club headed off to the Stoneleigh kit car show which; by tradition, the last 10 years have been where we all meet have a few beers and celebrate another year of buggies and kit car ownership. The kit car shows at Stoneleigh are always sensational, and this year was no exception, in fact; I think this year was probably one of the biggest kit car shows I’ve been to in a while this may be due to the excellent weather, or just simply because I made it there without a breakdown, and it only took me five hours, which is not too bad considering I live right on the south coast. 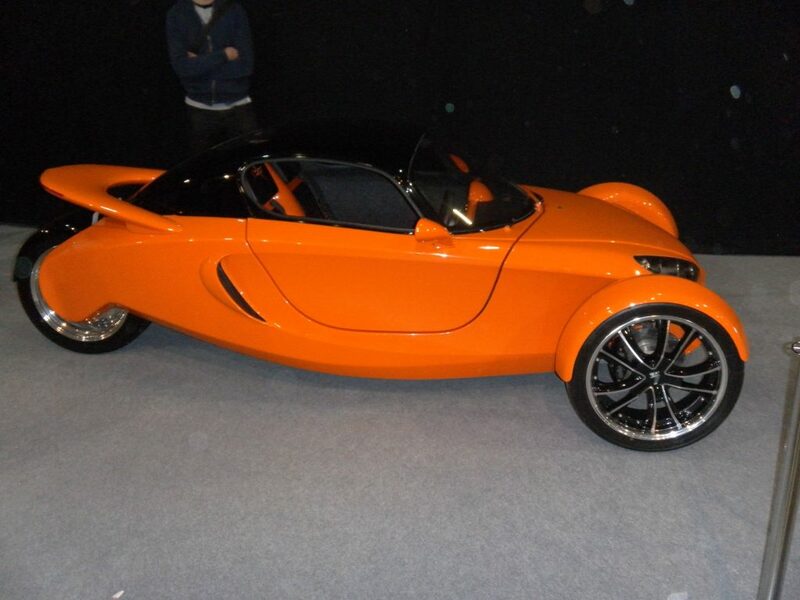 One of the cars that was to be unveiled at the show was the Razor. This kit car was founded by John Barlow and David Chapman, who have a fantastic reputation for producing top-quality kit cars for the last 30 years. Razor Cars operate from a Lancashire premises and is a part of the Imperial Motor Company which is also John and Daves company. 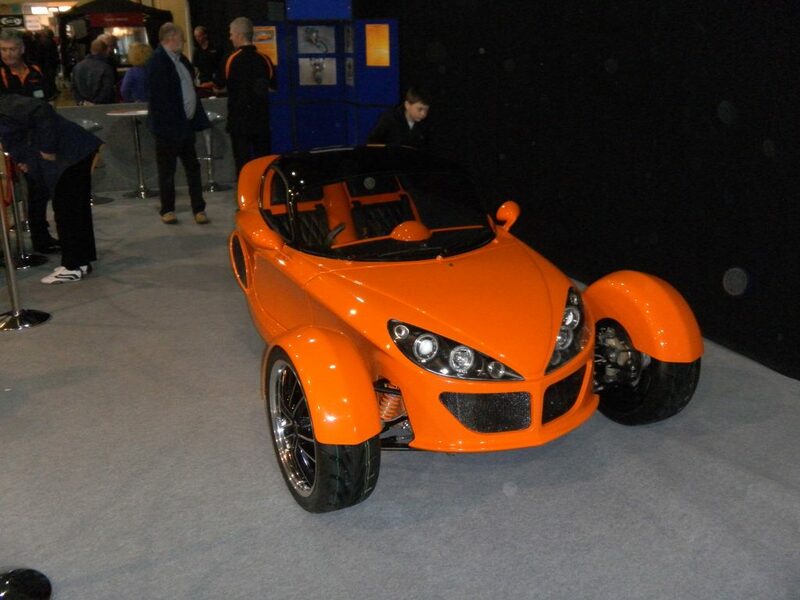 When I first saw this the Razor I fell in love with it, it truly is a fantastic looking kit car. The smooth lines detailing and was something completely different from what we normally see at kit car shows the body of the Razor kit car is made from lightweight GRP, which has been superbly designed and styled I really do like the look of it and spent a long time admiring it. The engine, the rear swing arm, rear wheel and fuel tank are all fitted to separate subframe which is built away from the chassis, and then it’s simply attached with merely four bolts. The seats and the interior of the Razor kit car are moulded into the body, leaving only the footwell to be fitted by the customer/builder of the Razor. The front suspension is very much like the Lotus seven styles with unequal length upper and lower wishbones with adjustable coil over shocks, and the rear suspension is taken care of by the Razor’s very own swing arm to carry huge rear wheel and tyre with twin adjustable coil over shock absorbers. What I like about the Razor kit car is that to get into it, you have to open up the canopy very much like the canopy of a jet fighter in a sense that the canopy lifts forward assisted by gas rams. I’m not too sure how easy it is to get out of if you roll it, but then looking at the razor. I’m not sure you could even roll it. 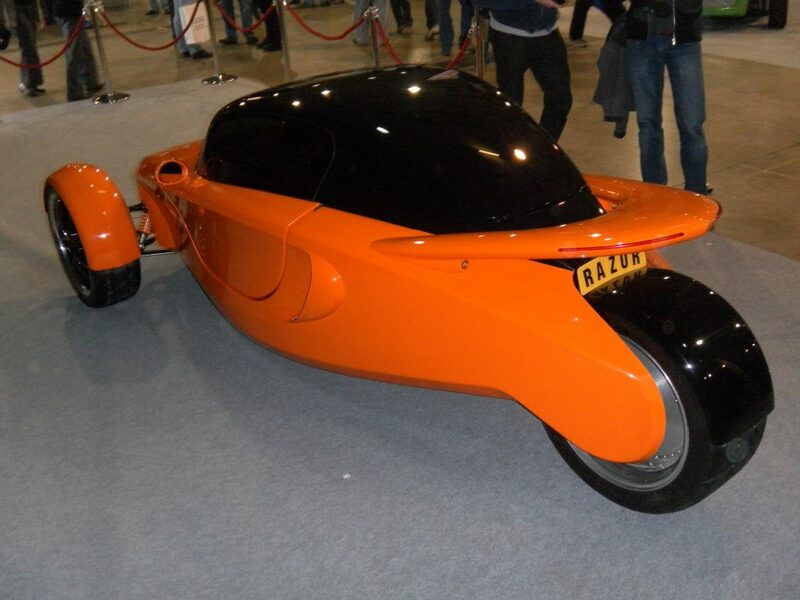 There are more and more three-wheeled kit cars coming into the industry, and this is because it is easier to get a three-wheeled car through all the engineering reports like the IVA as it is tested as a motorcycle. A few guys in our club fell in love with the Razor very much like myself but others absolutely hated it and found it to be ugly and did not like how you entered into it. However, that is just typical of anything in life and especially with kit cars some people love them and another hate them for the same reasons. I will be very keen on how the Razor performs on the track as it looks like it will handle extremely well and the power I think will be phenomenal. I’ve taken lots of photographs of the Razor, and you can find them in the gallery. If you have any questions or would like more information on this fantastic Razor kit car, then, please visit.